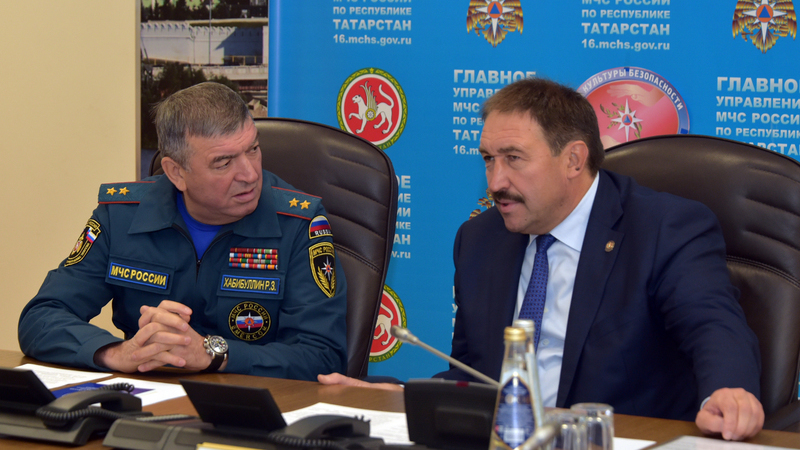 On October 1, Tatarstan Prime Minister Aleksey Pesoshin took part in the video-conference held by Russian Minister of the Emergency Situations Yevgeny Zinichev dedicated to the start of the All-Russian training for Civil Protection. The All-Russian training for Civil Protection will be held on October 1-3. Zinichev noted that during the training, it is planned to check the training of the population in the area of civil protection, the staffing and readiness of temporary accommodation centres, communication and warning systems, the coherence of actions of all specialists involved in the events. The Minister instructed to take measures to ensure the readiness of housing and utilities facilities and create fuel and energy resources in the regions of the Far North, in order to reduce the risks of emergency situations during the winter period.